Time for our latest update for Meet the Staff Monday, featuring one of our newest staff members, Nirav Patel. 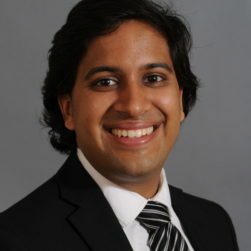 Nirav joined CBB after graduating with a Bachelor of Science degree in Civil Engineering from Saint Louis University. While in school he participated in several student activities and associations, and was president of his fraternity. Since joining CBB, Nirav has worked on a variety of projects including campus designs, Great Streets, and Traffic Impact Studies. Keep reading to learn more about Nirav! During my time working as an engineer my most memorable experience has been: Working on the Centene Campus Expansion in Clayton, MO. It was memorable because of how large the project it was and complexity with the expansion.